Working in conjunction with owners, architects and engineers, Jerit/Boys Incorporated provides information and drawings related to each phase of the design process. The responsibilities and approach outlined below are typical and are adjusted to the organization, capabilities and fees for the design team. Work leading to final decisions for funding and master planning new or renovated construction. Survey and documentation of the cultural, commercial and educational needs and expectations of owners and users, including evaluations of existing facilities. Review of current trends in facility funding, design concepts and arts management. Site analysis and concept development relative to codes, traffic and circulation, land use, visibility, environmental noise, and functional requirements of individual spaces. Development of space planning checklists with square footage allocation and major design criteria. Operating costs, staffing and event schedule/revenue projections. Preparation of preliminary building and performance systems budgets. Development of block schematics and presentation documents. Schematic Drawings: Scale drawings for performing, rehearsal, production and service spaces. These develop design solutions for specific program and functional requirements, code provisions and site factors. 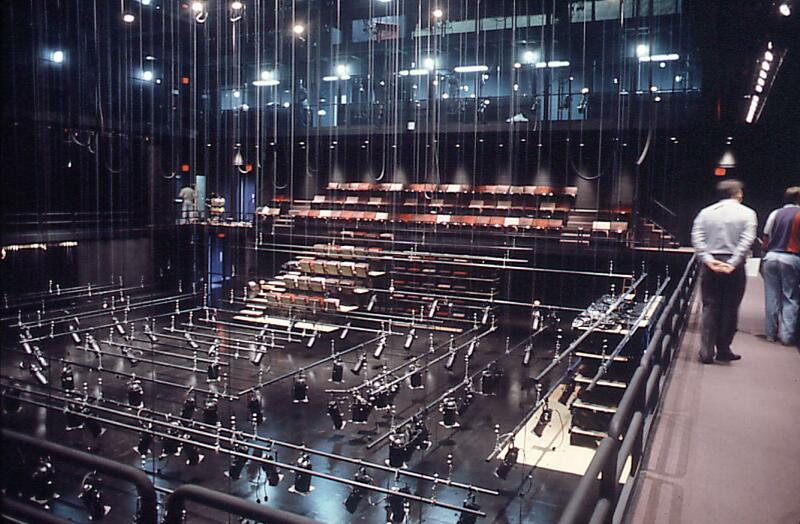 Performance Systems Description: Functional requirements, Special building provisions, Technical and management requirements, These systems include: Rigging, Curtains and Tracks, AV, TV, Orchestra and Stage Lifts, Luminaires,Seat Wagons, Adjustable Acoustic Elements, Special Theatre, Machinery. Budget Analysis and Cost Projections: Performance systems costs and installation factors; construction cost input to design team and estimator. Continuing review and input for refinement of schematic drawings. Participation in owner/user group presentations and preparation of status reports leading to owner acceptance. Continuing review of design information and provision of detail drawings as required for continuity in design development. Typically, this is accomplished through work conferences and detailed critiques of drawings and specifications. The goal is the evolving of an optimum plan based on exploration of alternate solutions which are responsive to aesthetic, site, program and systems criteria. Theatrical lighting control and distribution equipment and theatrical luminaires. Final review and evaluation of contract documents prior to bidding. Assistance to the design team in evaluating bid submittals and establishing priorities as may be required for budget purposes. Review of shop drawings for performance systems and equipment with recommendations for acceptance. General assistance to the architect and/or general contractor during construction. Site inspection/coordination as required. Full testing of performance systems and preparation of facility evaluation checklists. Instructional assistance to the owner/user for facility and performance systems operation and maintenance.